Welcome to our new featured section called Fantasy Points. The idea for this section has been kicked around for awhile, and I am really excited to officially launch this today! To start things out you’ll see articles by Brant Tedeschi. Although you may find articles from other writers in the very near future. As you probably know by now, I created FantasySP roughly four years ago. The goal back then was to find a better way to stay on top of my player news. Since then a lot of hard work has been put into FantasySP and it has grown into something bigger than I could have imagined. The response from the users has been incredible, and I look forward to see where FantasySP goes next. Just in the past year the Fantasy Assistant and Player Alerts have been released. Arguably the two best features of the site and two of the best tools in the entire fantasy industry. 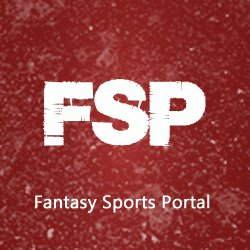 Just this past summer, FantasySP entered the CBSSports fantasy app store. For the first time I am able to offer the Fantasy Assistant, Player Trends+, and our Trade Analyzer to a larger audience. Needless to say, it’s been a busy year! Stay tuned because I will go more in depth on these topics and more in the coming weeks. Next Next post: Sticking With Blackmon?